With the Rise of IoT in a Connected World, Who Should Own the Data? The adoption of the Internet of Things (IoT) is going through a period of acceleration cementing its place as a critical component to many industries and consumers. However, this raises important questions concerning the ownership of data, but the answers aren’t exactly obvious. Because of the sheer amount of data that’s being generated by “smart things,” some organizations have resorted to convey the data to third-parties. While the motivation for this can be attributed to regulatory reporting reasons and the desire to monetize the data, it might not always be the best approach. While these issues concerning the ownership of data and licensing are significant, interestingly there is no schema to determine how ownership is even assigned. 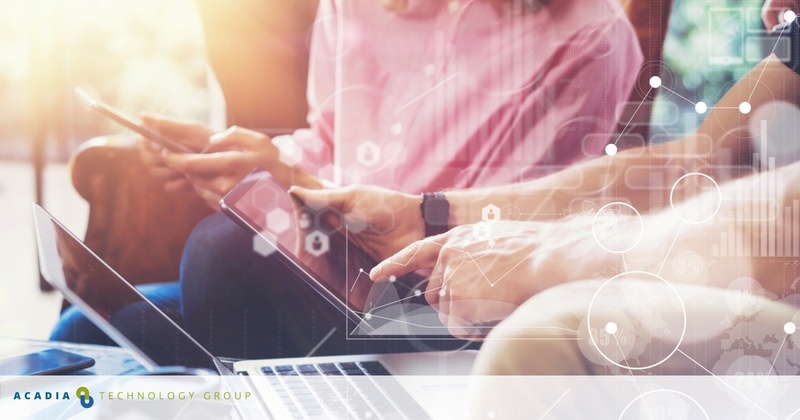 Historically, IT departments owned and controlled access to the data, but with the emergence of IoT, we’re now seeing better business value realized by utilizing it in marketing. Why is data valuable to marketing? s, they can help derive real value from it to help businesses make better decisions. However, it’s not as easy as it sounds because of complications created by silos. The way most enterprises are set up, e-commerce owns its data, marketing owns its data, and sales also owns its data. Furthermore, research will have their own set of data and so will physical retail spaces. When the data is collected from billions of devices around the world, it has to be sent somewhere (usually the cloud) for processing and storage. This data is valuable for both the company generating it and the technology companies that analyze it. This makes the whole question of ownership even murkier as many different entities will be involved in aggregating, slicing, dicing, and analyzing the data. But when it comes to customer data, in particular, it’s marketing that’s always gunning for it while others seem to push back. The real value of all the data generated by IoT and other areas of business will only be achieved by marketing if it has seamless access to all of it. In fact, marketing should own all of it! With marketing owning and processing the data, there is real potential to effectively use the data to drive business value. This can be an advantage for everyone involved because when a business makes better decisions, everyone benefits. When marketing owns and analyzes the data, for example, manufacturers can access real-time consumer behavior. This means that they will know how and when the consumer is using the product. Information gathered from these smart things can also help build better experiences. Furthermore, data-driven marketing and real-time customer data for service and advertising can only be achieved when marketing owns the data. The above is the primary reason why 51% of the world’s top marketers believe that IoT will change and revolutionize the marketing landscape by 2020. As a result, at the end of the day, the best approach is for IT (and other departments) to feed the data to marketing to remain competitive and relevant in the years to come. However, if marketing is going to own the data, they will have to take on the responsibility of keeping that data secure. What steps should marketing take to keep data secure? In the age of ransomware attacks, cyber security is now more important than ever to ensure business continuity and privacy. To achieve this, marketing departments need to follow cyber security best practices. Enterprises often invest heavily in security systems but neglect to address the human factor. It’s important to create a plan to protect the data, but it’s also crucial to educate employees on security best practices to keep that data safe. It’s important to reaffirm the importance of password security and keep all stakeholders mindful of security best practices. This is also a good opportunity to educate employees on the dangers of social engineering (which has been used successfully for decades) and remind them that such attempts may come via email or even the telephone. It’s also a good idea to remind all staff that they have to keep all software up to date (including security patches). This will also include their personal devices if the company has a BYOD policy. Marketing also needs to ensure that data is always encrypted at rest and in transit. This approach will be key to protecting sensitive data that will be generated by smart things. As hackers will be looking for the least secure system with access to the data, security protocols must also be in place to monitor it on a continuous basis. This approach will make it easier to identify vulnerabilities and resolve it quickly. From the moment someone is hired, they will need to have a clear understanding of your expectations and requirements when it comes to data security. Futhermore, marketing needs to ensure that SLAs and employment contracts have sections that clearly define these security requirements. Compliance will depend on the type of information a business will be working with. So this needs to be clearly understood as there’s always the potential of violating regulations such as ISO, HIPAA, and PCI DSS. As a result, marketing needs to take steps to prepare audit logs for compliance that can help guide the business. The shift of data ownership from IT to marketing won’t be easy, but it will quickly become a normal part of its function once implemented. The enormous benefits of transferring data ownership will make it all worthwhile. Interested in learning more about how IoT and Big Data can create real value for your business? 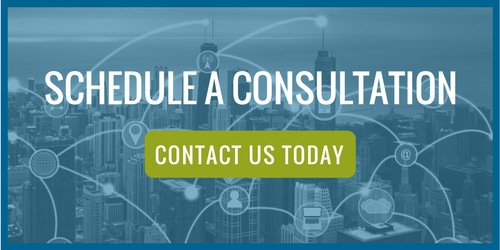 Contact us today and schedule a consultation with an Acadia technology specialist.